Draw this line by setting stakes at each of the measurements on the black line. This creates one side of your track. Using your 200ft tape measure, measure from the 75′ stake to the top of the triangle and back down to the 155′ stake. When both sides of your triangle measure 72′, set a stake at the peak of your triangle (the 115′ mark). You have now created a perpendicular line that is exactly 90 degrees offset and exactly 60′ long. Start from the peak of your triangle and measure/stake the adjacent measurements listed below. If you want to double check your work as you go, these stakes will be exactly 60′ from the stakes you laid in step 1. Once you have laid all these stakes, you have created the other side of the track. You now have 2 lines of stakes. You know these 2 lines of stakes are parallel, and exactly 60′ from each other. Congratulations! You’ve just made a grid. Get your gates ready because it’s time to place the gates and flags. From here you simply stretch your 200 foot measuring tape across each of the stakes you laid in steps 1 and 3. 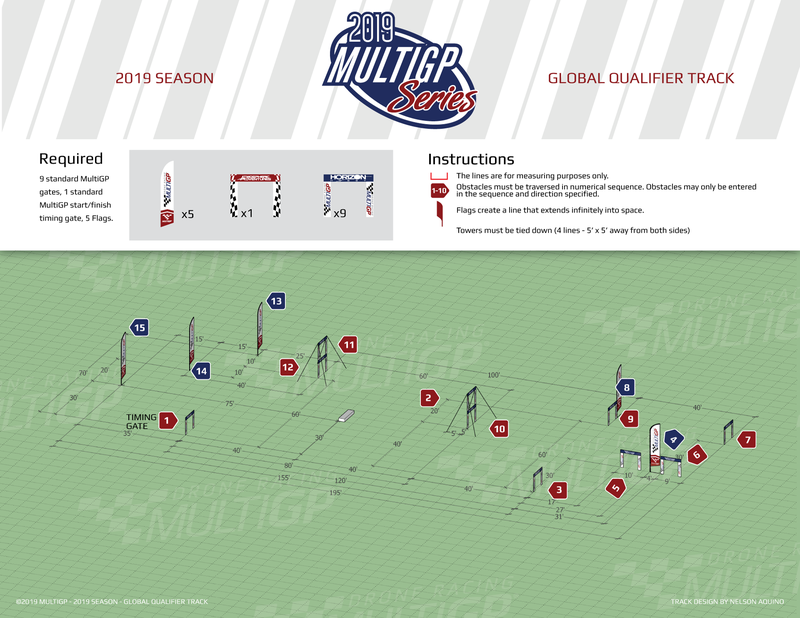 Once you have set up the track, you need to fill out this form to prove you have set up the track accurately. Failure to fill out this form will result in your qualifier will not being valid and your results will not be accepted.